Influenza-like illness is a common cause of diseases and disability in China but little is known about the causative viruses in China. Therefore Dr Huo Xiang and colleagues at the Jiangsu Provincial Center for Disease Control and Preventionin Nanjing screened almost 500 patients with influenza-like illness over a one year period in Nanjing. In their study, viruses were detected in samples from half the patients with influenza-like illness, and the viruses detected most frequently were influenza A (23%), influenza B (8%), influenza C 30 (6%) patients, and rhinovirus (6%). All other viruses such as human coronaviruses and respiratory syncytial virus (RSV) were found in less than 5% of patients. 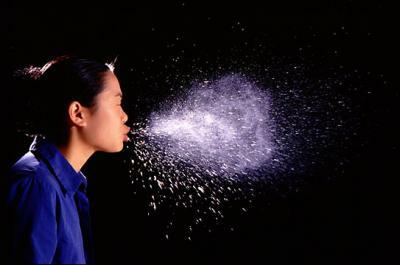 Interestingly, the predominant types of viruses seen in influenza varied by season. Rates of influenza A and human coronavirus illness were much higher during the winter peak 'flu season' than during the summer and other months. Co-infections were seen in 12% of patients. "This study confirmed that multiple respiratory viruses may circulate concurrently in the population and account for a large proportion of influenza-like illness. And the proportion was much higher in January (67%) than in June–August (33%), which was consistent with other findings indicating that respiratory viruses are more likely to be associated with influenza-like illness peak in winter rather than peak in summer. The influenza-like illness peak in summer may be due to other respiratory pathogens including bacteria, chlamydia, or mycoplasma, the researchers say. "In the present study on outpatients with influenza-like illness, RSV was common in children up to fifteen but was not detected in other age groups, which may be attributed to the developing immune state and vulnerability to infections," the researchers note. "In conclusion, this study confirms that multiple respiratory viruses may circulate concurrently among the population and account for a large proportion of influenza-like illness. In addition to influenza A, human coronavirus may be associated with the influenza-like illness winter peak in Nanjing, China, 2011."